Municipal Assistance, Solutions, and Hiring (MASH), consisting of men and women in a unique training program, provides numerous services to home owners as well as business owners and city departments. MASH crews are called in by other city departments to assist residences in times of need. For instance, they help relocate family members and belongings when fire or other health issues necessitate; sandbag hillsides during heavy rain storms; evacuate neighborhoods when fire threatened; demolition of earthquake damaged chimneys. MASH provides a unique training program. It is an opportunity for otherwise unskilled adults (18 years and older) to gain those skills and work habits necessary to obtain a permanent job. 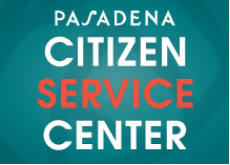 Some trainees have obtained careers with the City of Pasadena, while others have gone on to other places of employment. Flyers are posted at City Hall in the Human Resources offices when recruiting. The application procedure includes submitting an application, and passing both a written and physical exam. An eligibility list is created from all qualified applicants. Qualified applicants are them notified when positions are open for the one year (possibly two year) assignment. For questions, please call the MASH offices at (626) 744-7627. To use the service, go to the Citizen Service Center and click on “Submit a Request.” Once you have submitted the request you will be contacted by the appropriate department. Looking for general information? Search our list of FAQs. Monday – Thursday 6:30 a.m.- 4:00 p.m.
Every other Friday 6:30 – 3:00 p.m.